Discovi Systemy Research and Production Enterprise Limited is engaged in contract electronics production in the Ukraine. In 2010 the company started with the development and manufacturing of GPS-tracking and vehicle management equipment. Nowadays Discovi Systemy company cooperates with 150+ partners within the country. The company developed an extended product line to address vehicle, cargo and fuel management issues. 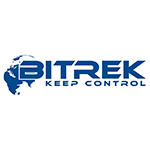 Satellite monitoring devices are distributed under “Bitrek” trademark. The chart below shows the changes within the last 30 days in the number units of Bitrek devices type are connected to Wialon Data Center.